The Pacer 165MB Navigator gloss black machined wheel is available in 15, 16, 17, 18 and 20 inch sizes. The Pacer Navigator is available for most trucks, SUVs and Jeeps. Standard, aggressive and lifted truck fitments are available. 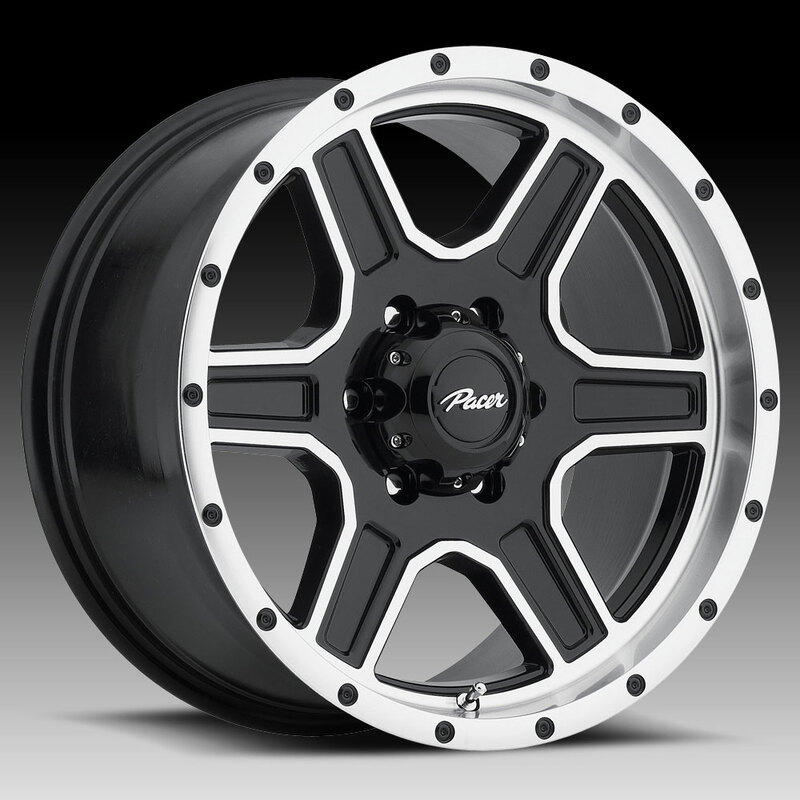 Free shipping on all Pacer 165MB Navigator custom wheels.